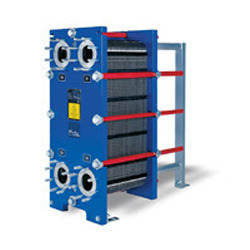 Pioneers in the industry, we offer plate heat exchanger and heat transfer systems from India. Owing to our rich industrial experience and knowledge, we are engaged in presenting Plate Heat Exchanger. These heat exchangers are examined on several parameters so as to deliver an excellent range. Our heat exchangers are used for a large number of applications. 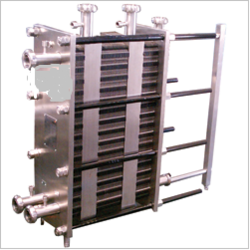 We develop this heat exchanger using top notch material & leading technology. We are providing our clients an excellent quality gamut of Heat Transfer Systems. The offered products are developed using superior quality material and latest techniques in conformity with set industry standards. We are giving these products from us on number of specifications as per customer’s requirements. Furthermore, these products are properly inspected on numerous quality parameters for assuring its excellence at customer’s end. Looking for PHE Units ?